I’m often asked what is my favourite lake in the Lake District and I always find it difficult to say. 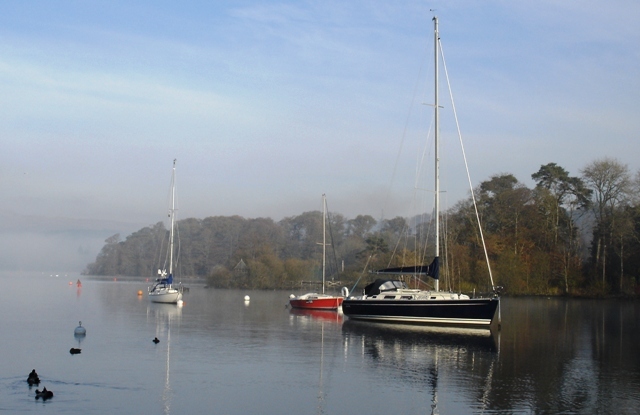 Each stretch of water in this glorious part of the world, from northern Bassenthwaite Lake to the justifiably popular Windermere has its own appeal. Depending on the day, my mood and where I’ve been recently, it’s usually a close run thing between Derwentwater, Buttermere and Rydal Water. Here are my favourite lakes (in no particular order) with my favourite Lake District views in Cumbria. If you’re a photographer you’re almost guaranteed to get a good shot from these places. 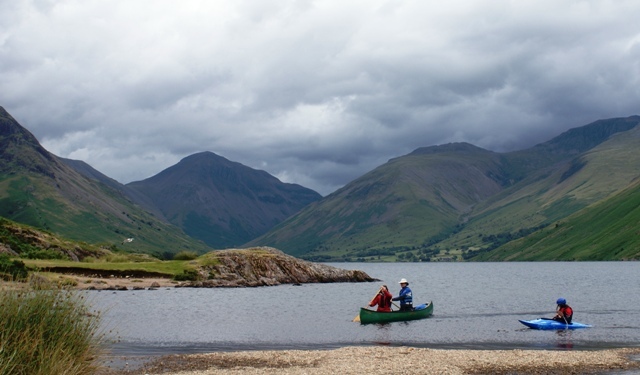 In 2007 this was voted Britain’s Favourite View, and Wastwater attracts many people each year to see what Wordsworth called its ‘long, stern and desolate’ aspect. I find Wastwater (or Wast Water as it’s also known) rather ominous with its dark and dangerous screes tumbling down to inky black depths. However, there’s no doubting its evocative appeal with England’s highest mountain, Scafell Pike, hiding away in the background. One of this country’s rarest birds, the Osprey, has been nesting in Cumbria for many years on the shores of Bassenthwaite Lake. The Osprey Watch Centre is based at Dodd Wood and during the summer months the combination of catching a glimpse of an Osprey catching fish, swirling overhead or nesting (albeit via a webcam) as well as views of this large stretch of water, is a winning combination. 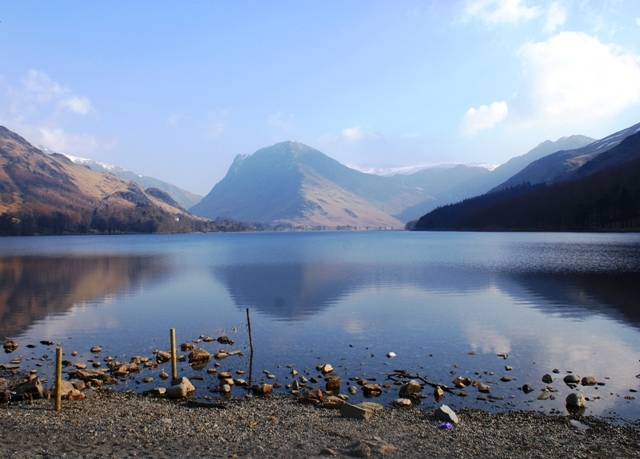 Plus you can win a point in a pub quiz by saying that there really is only ONE lake in the Lake District because Bassenthwaite is the only one to be officially defined as a lake! 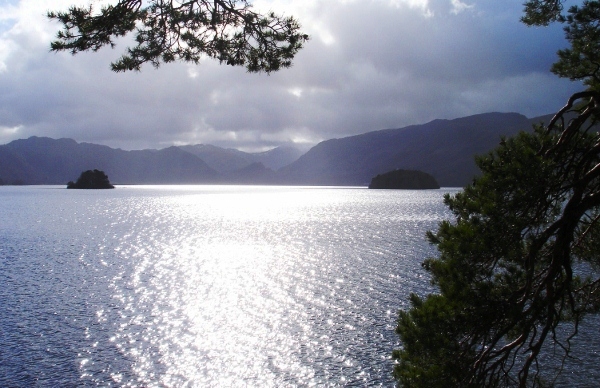 Take a gentle stroll alongside Derwentwater, one of the loveliest lakes in the Lake District, to Friar’s Crag. It’s said to have got its name because monks used to leave from this point to get to St. Herbert’s Island where a hermit lived. There are old pine trees and a seat to enjoy the scenery including that sinuous fell, Catbells. At the end of the lake are the dominant twin peaks called the Jaws of Borrowdale, imagined by nervous Victorians as a place of gothic horror. In reality it leads to a very attractive valley and Buttermere. From the edge of pretty Buttermere it’s easy to see why the Lake District’s greatest champion, Alfred Wainwright loved Haystacks so much. He asked for his ashes to be scattered by Inominate Tarn, nestling in its curvaceous folds. To the right of the lake tumbles Sour Milk Ghyll and if you are lucky you may see the red squirrel, thriving in this beautiful area. The scenery around Ullswater is stunning and from anywhere it’s a photographer’s delight. 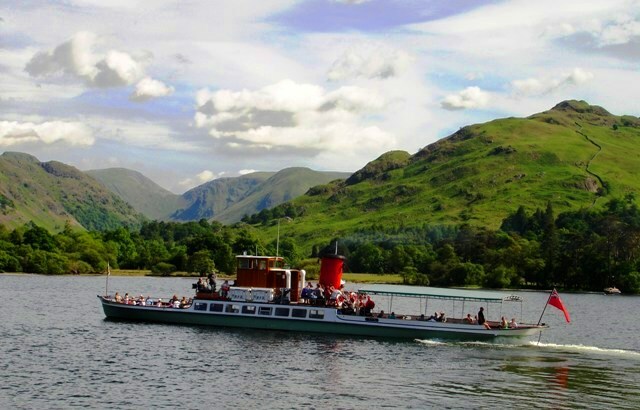 However, if you take the Ullswater ferry around the lake you can get an ever-changing panorama without having to move from your seat, sailing past fells, little hamlets and elegant houses, from Howtown down to Pooley Bridge. 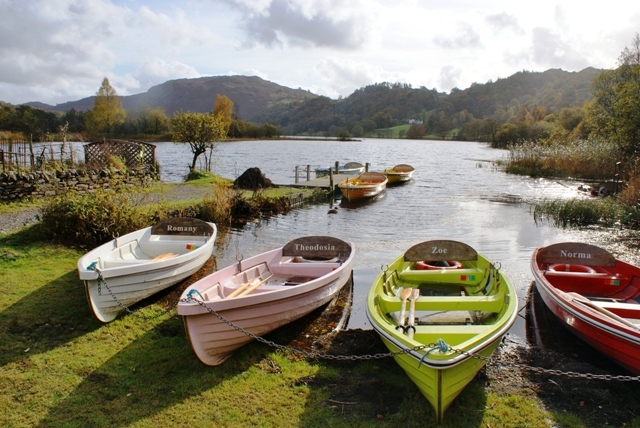 In front of the Fairy Cafe are a number of colourful wooden rowing boats bobbing and undulating in the reedy shoreline of Grasmere. You can sample a wide variety of teas as well as tasty snacks whilst you watch the light flash across the water or, if you’re feeling energetic, hire one of the boats and row around the lake, as Wordsworth did as a young boy. 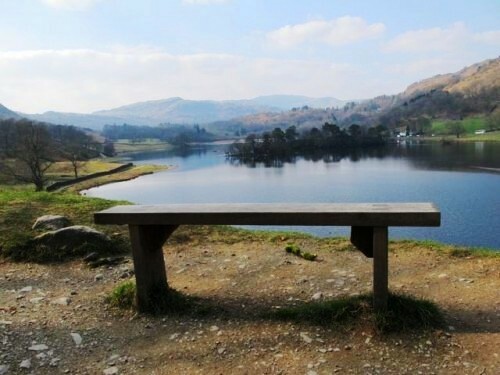 There’s a little wooden bench overlooking Rydal Water that is possibly my favourite view in the world. In the middle of the lake is Heron Island and in the distance is the rocky outcrop The Lion & The Lamb perched on top of Helm Crag. The poet Coleridge used to live in the quaint white cottage on the other side of the lake. When you are looking for peace and quiet, for a spot that feels ‘away from it all’ and yet is easily accessible this the place to go. 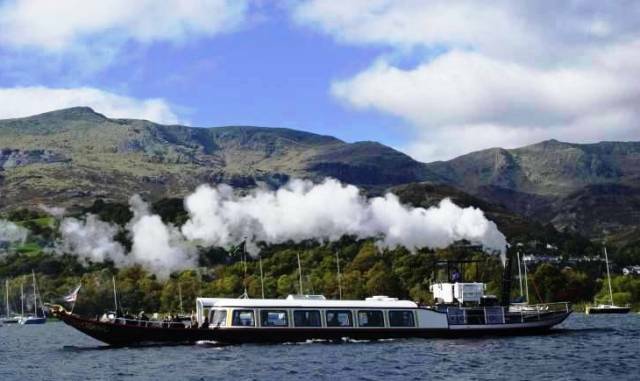 One of the most well-known sights on Coniston Water is the graceful Victorian steam boat, Gondola, restored and owned by the National Trust. 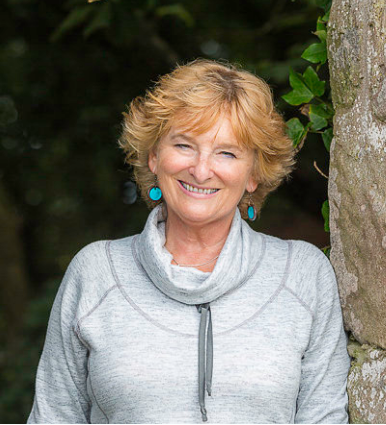 She takes passengers to historic Brantwood, John Ruskin’s house and glides over to other stops around the lake. 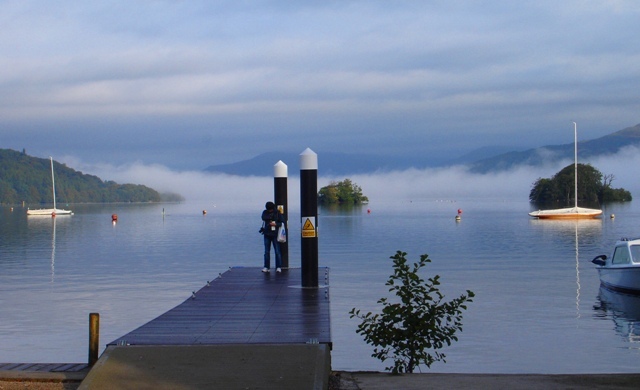 This is where Donald Campbell lost his life attempting to break the world Water Speed Record in Bluebird, after which the lakeside cafe is named. Looming over the water is the Old Man of Coniston and many other impressive Lake District fells. 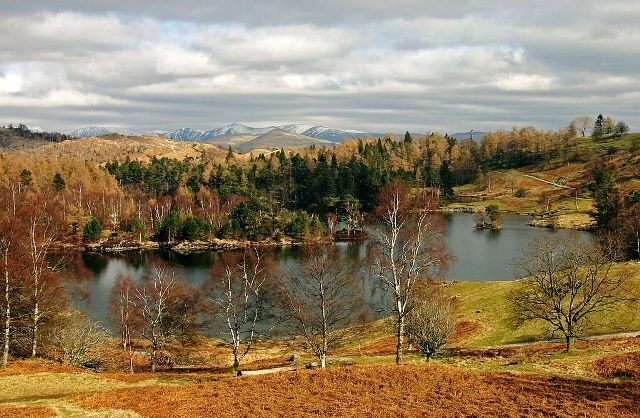 Not strictly a lake, Tarn Hows is a man-made stretch of water and has one of the most popular flat walks in the Lake District. Looked after by the National Trust it’s accessible by wheelchair and pram, making it perfect for everyone. Almost circular, there are wooded paths all around and in the Lake District in winter you often get crisp clear days when the snow-capped mountains glitter tantalisingly in the distance. Hopefully these will inspire you to visit these Lake District views and enjoy some of the most beautiful landscapes in Europe. There are plenty of other splendid views of the lakes, tarns, mountains, villages, towns, pubs, sheep, stone walls … You must see it for yourself and choose yours! Zoe! You make me so nostalgic! As my father has got older in recent years we haven’t ventured so far on my visits as we once did, so lovely to see old and favorite haunts. Thank you! Lovely to hear this brings back memories Linda. Living in the sunny Canary Islands I am sure just occasionally you hanker for these lakeland views 🙂 Maybe you will be able to revisit when you come back for a stay. The view from Lakeside down Windermere (near the Aquarium) is also very nice. Awesome views. 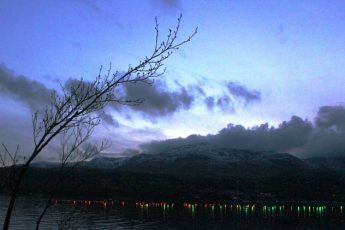 excellent photography.Especially Windermere pic is simply superb. Love to visit that place. Some great views from the Lake District, lovely photos. This is a great overview of lake district views! I particularly enjoyed the photo of Lake District Fells. This looks like an amazing area! So nice to see our fantastic lakes of Cumbria. I love the Lakes!!!! Thank you for your comment Edith. 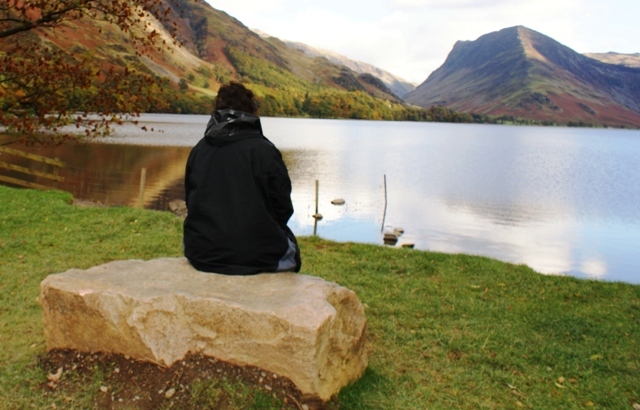 I am sure your tours of Lake District Gardens will also bring lots more visitors to see our lovely lakes.